Whether you are having a cosy night in, or have just got home for the after party, there are times when only a nice pint of refreshing beer will do. Maybe you have already worked your way through the six-pack that was in the fridge and drunk too much to drive, or have people round and don’t want to leave them unattended whilst you buy more beer. Well, help is at hand! Here at Pinga we would hate to see you go without a beer when you or your guests REALLY need it, so just download the app and get ordering! 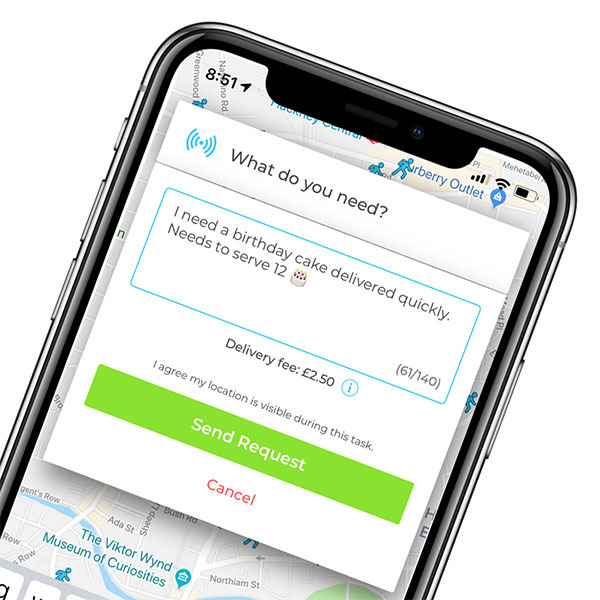 Getting beer delivered to your front door is as easy as 1, 2, 3 – just download the app, describe what you’re after and wait for a Pinga Partner to duly attend all of your beerly needs. Your local Pinga Partner will be close to your home, check your request, grab your beer and bring it round in a dash. You can then pay through the Pinga app, safely and securely and sit back and enjoy your beer! Pinga Partners are all based in your local community meaning that they get a feeling of well-being by helping other people in the community, and you get your beer swiftly, at reasonable rates, and served with a smile – probably better than in your local pub! Here at Pinga, it’s not just about beer. Maybe you need some nibbles for your party, a bottle of wine for the non-beer drinkers or even some flowers for that special someone – Pinga can help! There is no minimum spend, either, meaning that you won’t have to worry about beefing up your order with things that you don’t need. Simply order exactly what you need at that very moment. Gone are the days of minimum spend and being restricted to order products from a single shop. Pinga delivers what Beer you want, when you want it. Describe what beer you want and send your request. Pay securely within the app and receive your Beer!